My heart strings were definitely pulled this morning when I saw this little cutie walk through our doors. Meet, Leo! 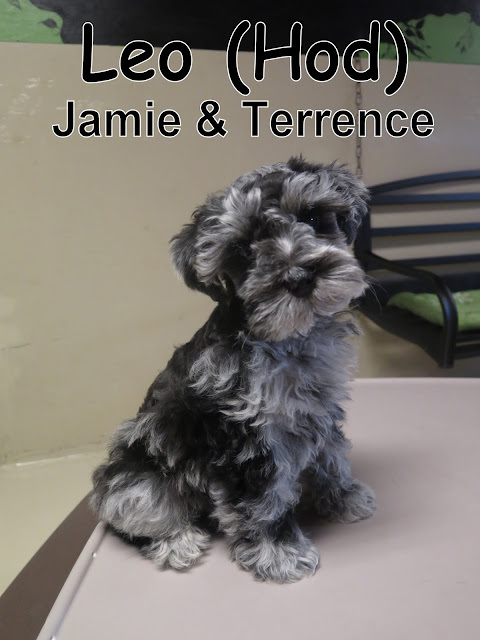 He's a Miniature Schnauzer that's only eleven weeks old and weighs three pounds. This fierce little guy trotted up to our Puppy Program with lots of confidence and curiosity. He showed wonderful "dog speak" as he mingled with his new playmates and sniffed around his new surroundings. Check out this video to see him in action, meeting and greeting everyone. He also took a great liking to one of The Fort's regulars, Rusty. As you can see, this little pup had a great first day today. I am very much looking forward to watching him grow, and seeing him return for more daycare fun! Have a good day everyone, try to stay nice and cool!